An initial, no-cost consultation is the beginning of the process. This is our time for listening to your needs, and helping you understand exactly how we will meet those needs. Ask questions, express your concerns, and tell us about your challenges. Our focus is on you and every detail of your move. workable plan that is guided by your specific time frame, energy level, and circumstances. Working from the floor plan of your new home, we will lay out your furniture and help with those difficult decisions. Our staff is hands-on. We are there to help you get through all of the sorting and organizing that goes along with scaling down. We guide you through the room-by-room process of decision-making. Do I keep, pass on to family, donate or sell? We have a fail proof system to getting organized. We will plan and schedule moving day. We will recommend and supervise movers, confirm the date, and go over all the details. We will contact your new community to confirm move-in times, elevator availability, and receive any special instructions. We will professionally pack your items for moving day. We bring all the boxes and packing material. With careful labeling and digital photos we are able to put your china cabinet back, the right lamps on the tables and recreate the feel of your home. Moving day is stress free for you. 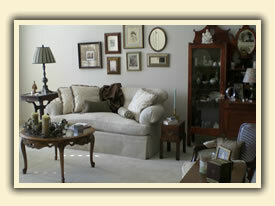 We are on hand to direct movers through the house, and do the same on the other end to supervise furniture placement. 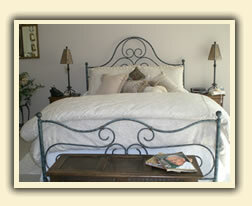 We unpack, put away and resettle your entire home. At the end of the day, the bed is made, the lamps are plugged in and the dishes are in the cabinets. Your new home is clean and all the boxes have been removed. You’ve made it! Do you need to send items to family members out of town? We work with specialty shipping companies that provide economical solutions to shipping small loads throughout the country. We can manage the transfer of phone and cable services. We can help notify friends and health care providers of your move, and provide you with change of address cards. We can help sort through old files and records, and be sure that confidential information is shredded. We will coordinate a pickup of charitable items. We will box all items for donation, create a detailed list of those items, and provide you with a receipt for your tax records. We will leave your home broom swept and ready for the new owners. We will take care of the trash, items left in the home, and even the transfer of utilities. We help when it is difficult for family and friends to undertake the responsibility of estate distribution. With a compassionate hand, Gentle Changes will help divide cherished family keepsakes, creating a plan that is in accordance with the wishes of the family, as well as within the legal guidelines of a will. We will vacate an apartment in a timely manner paying special attention to the many details required, with or without the presence of family.